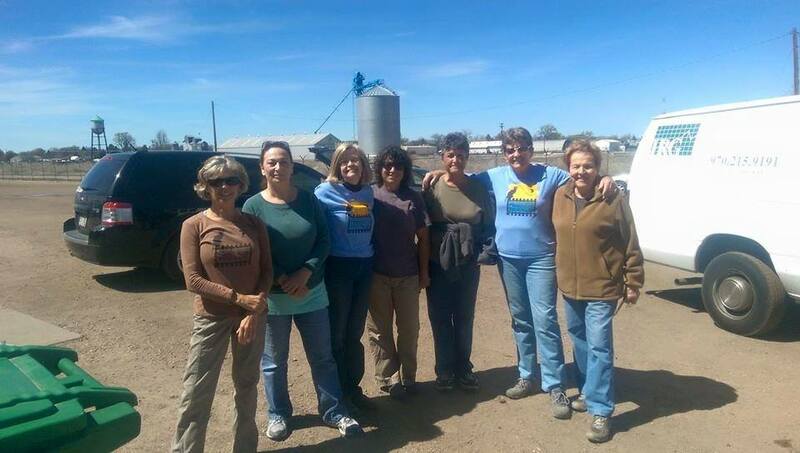 Northern Colorado Friends of Ferals is a non-profit organization of volunteers dedicated to providing help to feral cats and their committed caretakers in Northern Colorado. NCFF arose, as many groups do, out of a clear need to address the ever growing numbers of unsocialized cats living out their lives in the shadows in trailer parks, industrial areas, rural areas and urban neighborhoods. Trapping ferals and getting them neutered is difficult logistically and financially for most people. Consequently, most cat colony caretakers simply feed these cats and allow them to reproduce. Ultimately, they become a nuisance and an unaffordable expense. Trapping, neutering, vaccinating and returning cats to managed colonies is the only effective way to reduce colony numbers. It is far more cost effective to neuter than to kill these animals. This is the proverbial win-win solution for cats and humans alike. Northern Colorado Friend of Ferals is based on the Alley Cat Allies methods of TNR. For details about this method, please see their website. An eager group of volunteers! NCFF does not have a facility or a shelter so we are unable to provide a home for cats. Socialized kittens may find adoption homes through Animal Rescue of the Rockies and Duncan’s Place, space permitting. We do not loan out cat traps. We can spay/neuter cats only on clinic days by appointment. Relocating ferals is not recommended and not part of what NCFF does unless cats are in extreme peril. Hello Leslie, It was a pleasure speaking with you today. I like your website and you all are doing a great service! I look forward in keeping intouch with you with other resources for your organization. Does this organization reach out to shelters to reduce euthanizing as well? I admire what this organization is doing to the fullest! I take care of feral cats by providing food, shelter and vet care. However, I have one little feral I absolutely have been unable to catch lately. She is behind in her vaccinations and needs a lion cut as her very long fur is extremely matted. She will no longer fall for the live trap. Do you have any suggestions? She must be vaccinated because I’ve been having raccoons come around (although I take the cats’ food in at night) and one of them had rabies or distemper. The humane society, sheriff, state patrol wouldn’t help and a wildlife officer came too late to catch the raccoon so I’m not sure what the raccoon had. I’d be grateful for any suggestions you have. Thank you. Have you tried a drop trap? You can google some fairly easy blue prints to make one. Just a thought. Have you tried using a drop trap? You would have to wait for her and watch when she goes into the trap. the other thing you can try (now that it’s a bit warmer) is to withhold food for a couple of days. Then try baiting the trap with something like Kentucky Fried Chicken. a fellow trapper swears by this method. good luck! I live in Sterling, Co with laws permitting owners of trailer parks and residents to shoot any feral cats, to me this utter inhumane. The Humane Animal control here has been known to euthanasia on site any caught cat. I too help when I can by placing food and water for the lost souls that no one wanted, but now I find a little one who is caught in a McD’s McFlurry drink lid and am frustrated by calling the animal control, only to get a response of placing a bowl of water laced with antifreeze will solve my problem. I don’t know who to call in this area that can capture the kitten and remove the lid; I know that without removing the lid that in time it will eventually die and would not like to think of this.